An increasingly mobile customer base is forcing auto finance sources to deliver the tools car buyers need to easily and transparently apply for, repay, and access information about their loans. New-vehicle sales are currently (and for the near future) flat, and for several reasons: Rising interest rates and growing used-car inventories are creating an affordability gap. Owners are keeping their cars longer. Ride-hailing and carsharing are suppressing sales among city dwellers. For your finance sources, a decline in sales means a smaller pool of loans. Banks and finance companies are competing aggressively for every contract. They must optimize their portfolios to remain profitable. Meanwhile, car buyers are pushing for a simple, seamless, and transparent application and funding process. 1. Cloud-Based Lending Platforms Will Become the Standard. Auto lending technology will take several leaps forward in 2019. One of the biggest involves the usage of cloud-based platforms for payments, applications, and document management. These “always-on” platforms will replace many manual processes and digitize important data for easier communication and security. More customers will access cloud platforms to view their loan status instantly and make payments at their convenience. 2. Finance Sources Will Cater to Millennials. “Millennials don’t buy cars!” This is often said but patently untrue. They just do it in a different way. They are more likely to do all their research online and try to negotiate the price via text or email. Many are also waiting a little longer to get married and have kids, delaying their first big car purchase. But millennials are still the biggest group of consumers out there, and in 2019, banks and finance companies will recognize their considerable buying power. More lending and payment platforms will provide mobile-first experiences. They will also adopt tools such as integrated payment reminders, bots, and other tech that keeps borrowers on track but doesn’t waste their time. 3. Analytics Investments Will Pay Off. Greater usage of analytics in 2019 will pay off in multiple ways. Banks and finance companies can use them to find potential high-risk borrowers both before and after they take out loans. In the payments world, firms that use analytics can adjust their tactics on the fly to respond to various metrics — not just timely payments but behavioral patterns. This will improve visibility of predictive fall-out rates, among other examples. 4. Payment Options Will Multiply. Payment processors for auto lending must remove “friction” from their processes. This means cutting out any roadblocks or unnecessary steps. 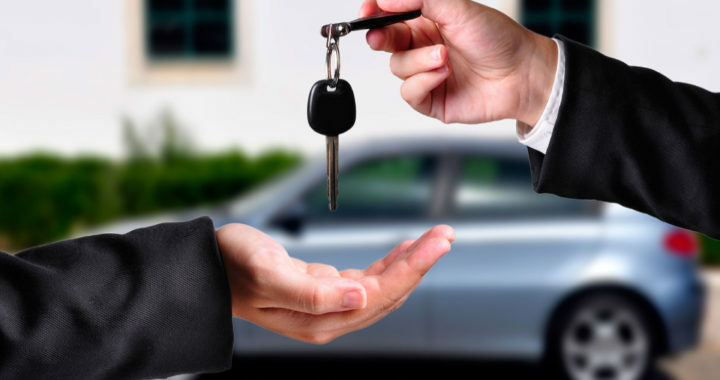 It also requires multiple payment options so car buyers can repay via their preferred method. Common designs and processes for every payment channel will offer a more unified consumer experience. Websites that only work properly on desktops and laptops will drive many borrowers away. 5. Digital Presentment Will Come of Age. In 2019, more banks and finance companies will consider digital statements as opportunities to improve the customer experience — not simply as digitization of paper docs. That could include one-to-one marketing messages and videos along with dynamic balance data, payment reminders, and integration with mobile wallets. We may also see automated delinquent payment plans and even marketing offers for new cars as the borrower approaches the end of their loan term. Auto finance sources still cannot completely do away with print statements and mailed payments so they will invest in streamlined omnichannel delivery strategies. Digital payments will appeal to borrowers seeking improved access to information and better control of their finances. Technology tools in the form of the cloud, analytics, and digital processes will continue to transform auto lending in 2019. Banks and finance companies will modernize their processes in order to keep pace with existing customers and capture their share of a flat market. Danny Shader is the founder and CEO of PayNearMe. Posted in News and tagged 5 Ways Auto Finance Will Change in 2019, Auto Finance in 2019, Auto finance sources, Auto lending technology, Cloud-Based Lending Platforms, digital statements in Auto Loans, usage of cloud-based platforms in auto financing, what is Analytics Investments?.